WellShare’s Eliminating Health Disparities Initiative (EHDI) aims to create sustainable, culturally-appropriate approaches and tools for preventive community health, in particular, to support the Somali community in the Twin Cities. The most recent activity within this program is the creation of a Nutrition Tool. The purpose of this tool is to demonstrate healthy eating within four different Twin Cities communities. This nutrition tool is based off of the USDA’s “MyPlate” icon, which illustrates the five food groups and their suggested proportions for a healthy diet, using a familiar image – a place setting for a meal. 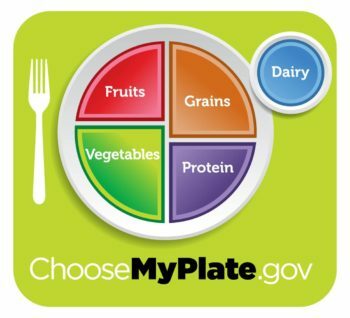 EHDI’s Nutrition Tool Project involves working with four different communities in the TwinCities – Oromo, Somali, Hmong, and American Indian – and adapting the MyPlate image to better represent more culturally-appropriate foods for these communities. Once the plates are developed and printed, WellShare staff and consultants will conduct 25 one-on-one meetings with members of various communities to get input on the nutrition tool and to gauge its effectiveness. An evaluation will determine community members’ understanding and retention of the information presented. The goal of the EHDI Nutrition Tool Project is to develop an effective and culturally-specific tool that can be used by Community Health Workers (and others) to encourage healthy eating and to teach community members the basics of a healthy diet. 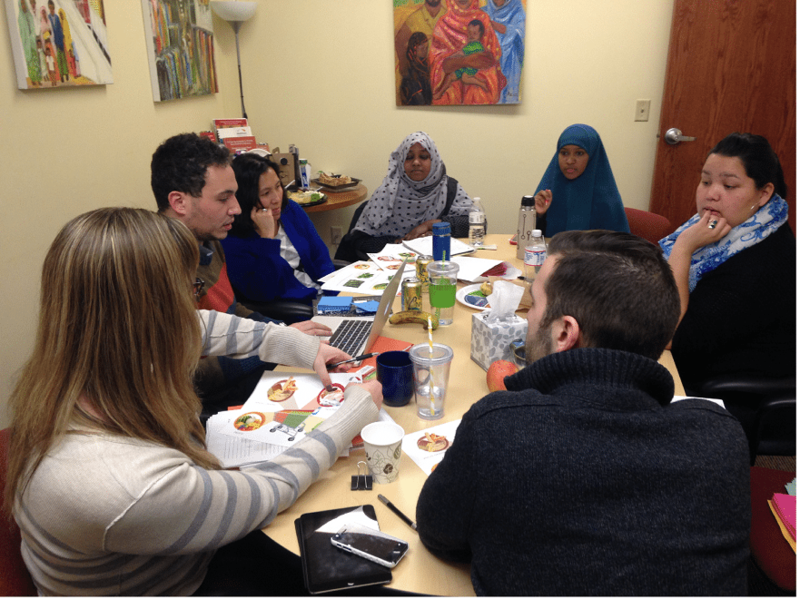 Pictured: EHDI consultants and WellShare staff members brainstorm ideas for the healthy plate tool with a graphic designer.